This week: a Gothic literature crossover, a legendary noir anime, and the many adventures of a New York pot dealer. What could bring a cowboy, a gentleman adventurer, a witch, and Dr. Frankenstein together? A Halloween party, for one, but also Penny Dreadful. The show that draws on some of the biggest names in 19th century literature, creating the best monster mash on television. Dreadful opens with Sir Malcolm Murray (Timothy Dalton) and his compatriot Vanessa Ives (Eva Green) recruiting wandering gunslinger Ethan Chandler (Josh Hartnett) and Doctor Victor Frankenstein (Harry Treadaway) for a job. Murray’s daughter, Mina, has been abducted, and her kidnappers are vampires. Each member of the crew has their own dangerous secrets, and as they conduct their search for Mina, their dark pasts resurface. Although its premise is over-the-top, Penny Dreadful moves at a restrained pace, taking time to explore the characters and build their relationships before escalating the action. While literary crossovers often fail to grasp what made their source material great, Penny Dreadful is respectful of its Gothic roots, focusing on the thematic richness of characters like Frankenstein and Dorian Gray, rather than simply trotting them out for name recognition. Visually, the show revels in the macabre, turning even scenes of intense gore into moments of beauty. Cowboy Bebop is arguably one of the most popular anime series of all time, and it’s not hard to see why; from its bombastic, jazzy opening theme, to its chain-smoking, gunslinging protagonist, to its heavy noir atmosphere, everything about the show radiates coolness. Set in 2071, after humanity has spread out among the stars, the show follows the crew of the spaceship Bebop, a team of bounty hunters with checkered pasts and distinct personalities. 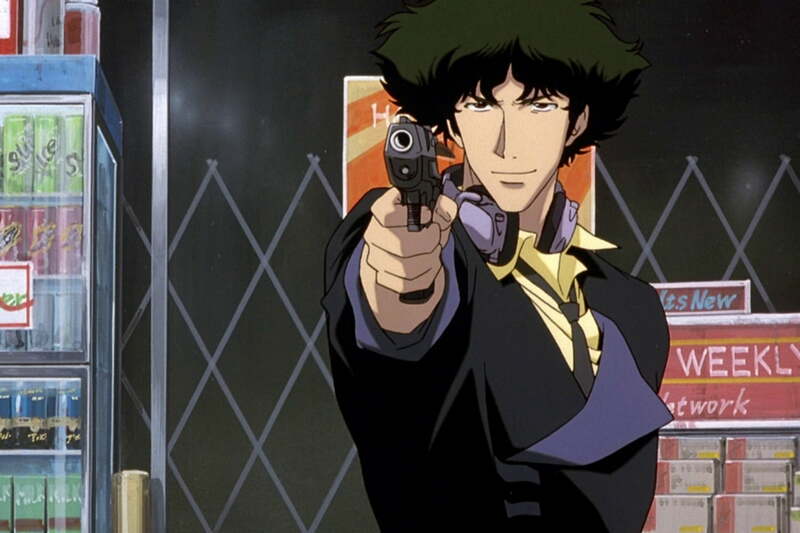 The bounty hunters in question are Spike Spiegel (Steve Blum), an easy-going martial artist with a criminal past; Jet Black, an ex-cop who prefers to do things by the book; Faye Valentine, a hard-drinking gambler; and Ed, a hacker with a delirious personality. Although it is an old show, the design of Bebop’s characters and locations are as striking as ever, presenting a future influenced equally by sci-fi and old-school crime films. Most of the show’s episodes are standalone stories, frequently jumping between tones and genres, so viewers get a taste of something different with every episode. Madly inventive and surprisingly poignant at times, Cowboy Bebop is the gold standard for anime. Comedy, like fashion, seems to evolve in waves. Once, the pinnacle that all comics strove for was to get their own stand-up special, or a starring role in a movie. Today, it seems like every comedian wants their own autobiographical show, many of which are as dramatic as they are funny. 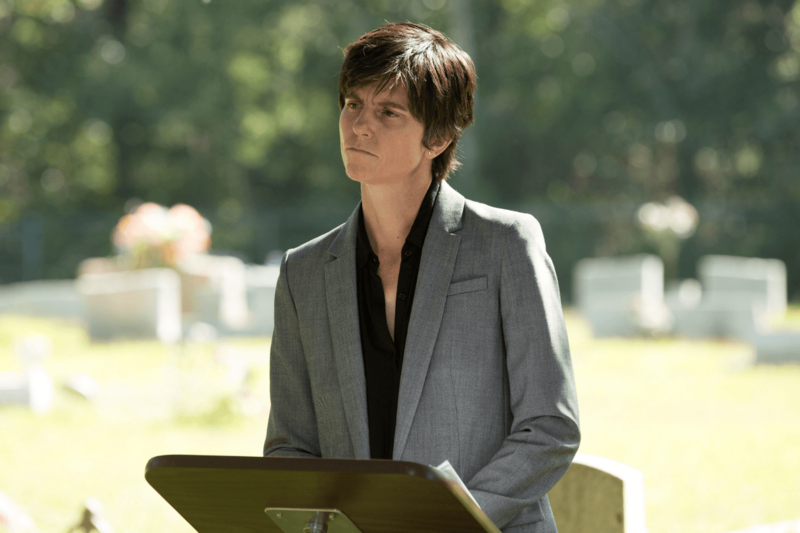 The latest of these is Tig Notaro’s One Mississippi, which draws on several recent events in the comedian’s life — breast cancer, the death of her mother — to form a sometimes funny, sometimes grueling series. Notaro plays a fictionalized version of herself, a radio-host who returns to her hometown when her mother is going to be taken off life-support. Grappling with her own medical problems, Tig decides to stay and reconnect with her remaining family, including her solemn stepfather Bill (John Rothman). One Mississippi is an examination of grief, as well as the reality that people must keep on living after trauma. Heavy stuff, to be sure, but Notaro peppers the show with moments of levity that keep it from feeling oppressive. As the title should indicate, James White maintains a singular focus on one character. James White (Christopher Abbott) is a man in his late twenties with neither a job nor a care in the world. The film opens with his father’s death, which for White is not a time to mourn, but an excuse for another bender. Always ravenous for the next party and quick to spew forth excuses for his behavior, James is an archetypal prodigal son. When his mother Gail (Cynthia Nixon) undergoes treatment for cancer, he tries to take care of her, and is finally forced to confront the realities he’s tried to escape. James White is filled with believable characters and great performances, but the star of the show is undoubtedly Abbott, whose moments of tenderness reveal humanity in a character who seems almost beastly in his pursuit of pleasure. Director Josh Mond often keeps the camera close, creating an almost invasively intimate portrait of his protagonist. 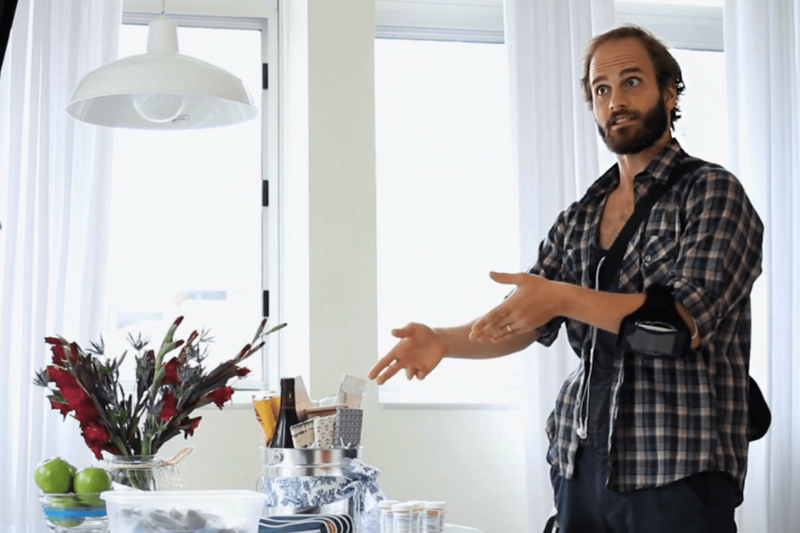 The popular web series High Maintenance is making the leap to full-fledged series, having been picked up for a new season by HBO. The show follows a character known only as The Guy (Ben Sinclair), a marijuana delivery man living in New York City. Each episode is a vignette in which The Guy delivers weed to whomever is the subject of the story. While episodes of the web series were small and very intimate, episodes in the new season are longer, and the show is experimenting with different formats and story structures. Although pot is the unifying force in High Maintenance, the series is much more than a simple stoner comedy. The humor stems from the characters, which the show manages to develop into fully-developed people despite their brief time on-screen.